We love it when a plan comes together. Not that we’re suggesting we’re like a real-life A Team. Not at all. We don’t have a cool van to modify every week or even a pounding theme tune (we must work on that). But a bit like Hannibal Smith, BA Baracus and Co, we do rally around to get a job done and there’s always plenty of excitement as we work towards the big finale. 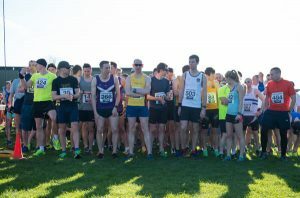 And the big finale in this latest instalment is one of the toughest half-marathons in the East Midlands – the Loughborough Half-Marathon, which takes place on Sunday, April 8. 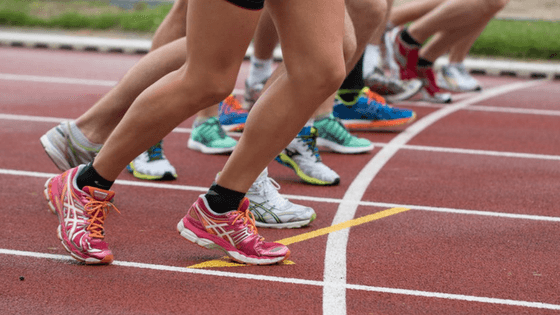 LikeMind Media are the social media partners for the annual 13.1-mile race and team relay challenge, which not only helps people get fit, but brings the community together for very worthy causes. Our remit is to help increase awareness of the event and bump up the number of runners taking part, ultimately to raise as much money as possible for the local charity Living Without Abuse, who organise the Loughborough Half-Marathon (LHM). So the challenge for us was to find the best way to go about that. And that’s when we got straight to work. We trained the LHM team on how to manage their social media accounts and launched an advertising campaign on Facebook to target potential runners of the event. And in that campaign, we specifically created four different audiences who we could target with unique advertisements, in order to gain the maximum results. The response was impressive as we immediately saw a huge spurt in the reach of the ads, meaning the message was being seen by more and more people, with hopefully many of them registering to run in the event. The Loughborough Half-Marathon last year saw more than 700 runners take part and raised a whopping £17,000 for Living Without Abuse (LWA). We want to help top both those numbers this time around. Based in Loughborough, and formerly known as Loughborough Women’s Aid, Living Without Abuse offers help and support for anyone suffering abuse. The charity, which has been providing domestic abuse services since 1977, are committed to raising awareness of domestic abuse, working towards its prevention and eradication, and assisting those affected by this crime to determine their own lives. Everyone – men and women – have the right to live safely and without fear of violence and abuse, and this very worthy cause can provide support to anyone experiencing or fearing violence or abuse from a partner, ex-partner or family member. So that’s why we’re hoping to get as many people as possible ready for the starter’s orders on April 8 and help drive this campaign over the finishing line. LikeMind Media’s very own ‘Hannibal Smith’ and leader of the gang, Paul Ince, who will be also be running in the event, summed it up rather neatly. “Living Without Abuse is a fantastic local charity that works with people in the Loughborough area to provide help and support to those suffering from abusive relationships, and LikeMind Media are proud to support the work that they do,” he said. “We were looking for ways we could support the local community, and LWA reached out to us to see if we could help them get better at social advertising for their flagship fundraising event, the Loughborough Half-Marathon. “It ticks multiple boxes for us. We can offer the help and advice they need, but it’s a great positive event and I’m a runner, too, so I’ll be taking part. “We provided free training to the LHM team but agreed to produce the advertising creative and manage the ads on an ongoing basis, freeing up time for the organising team. “Or mission is to drive runners towards signing up for the event, and see more people run and raise money for LWA and many other worthy causes. The Loughborough Half-Marathon takes place on Sunday, April 8, 2018, starting and finishing at Charnwood College. For more details and how to enter, see the LHM website at www.loughboroughhalf.co.uk, or find them on Facebook.